Thankfully, that isn't a strip of bacon. 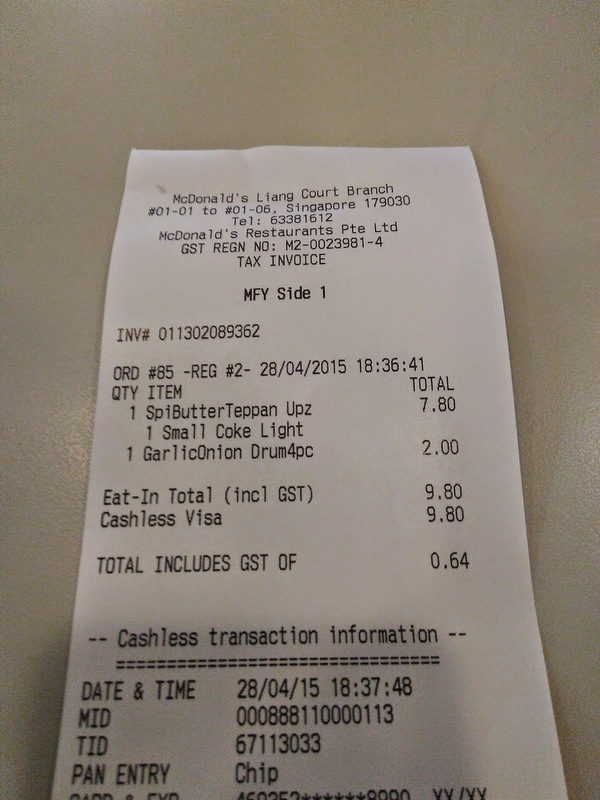 Combo Price - $7.20SGD = $5.45USD. $5.25 ala carte. 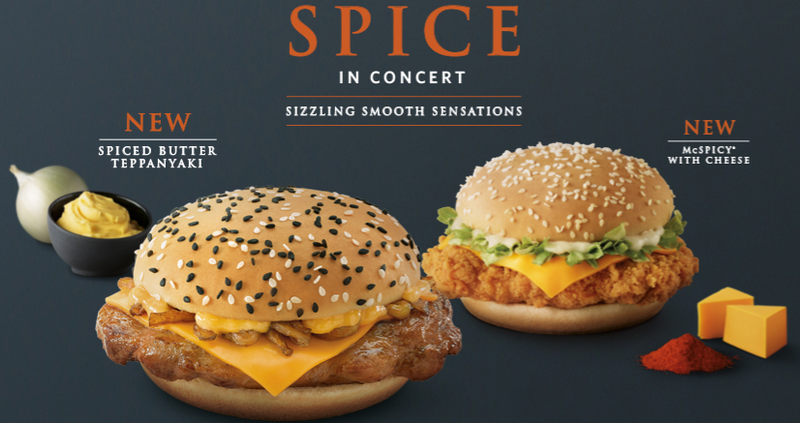 Last week McDonald's Singapore released a teaser image saying that a new spicy burger was on the way. 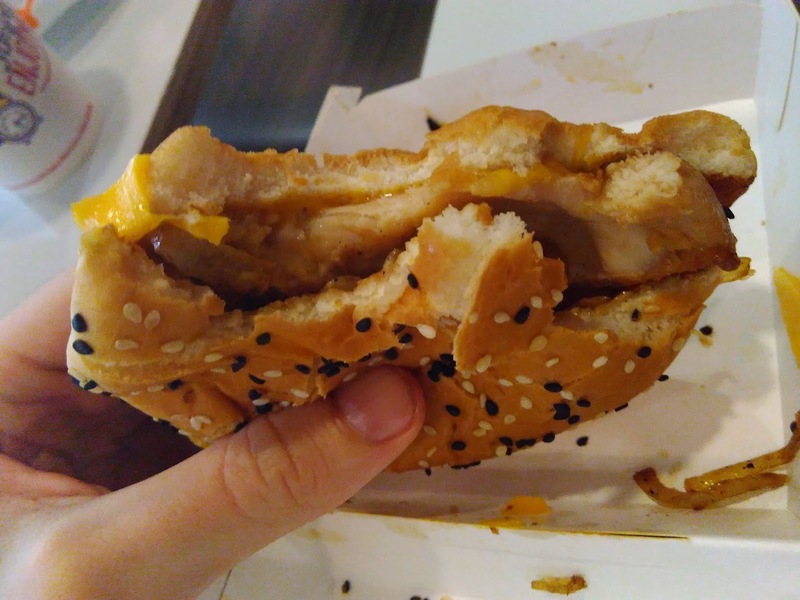 I would say that 95% of McDonald's promos have been released on Thursday here in Singapore, so I made plans with The Wife to try whatever burger would be coming out then. 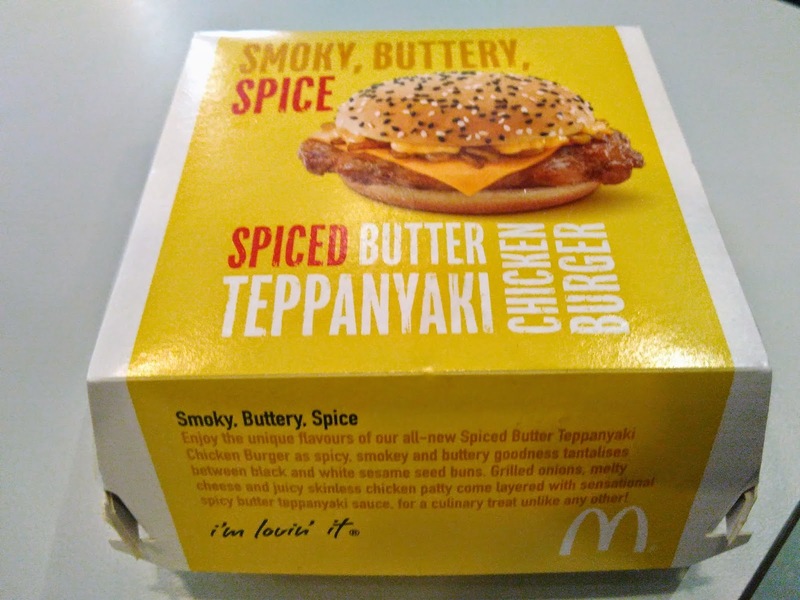 To my surprise, when I was walking home past the local McDonald's yesterday (Monday), I saw posters promoting the new "Spiced Butter Teppanyaki Chicken Burger". I quickly checked the official McDonald's website to find they had launched it early! We already had dinner plans that night, so I made sure to try it as soon as I could. 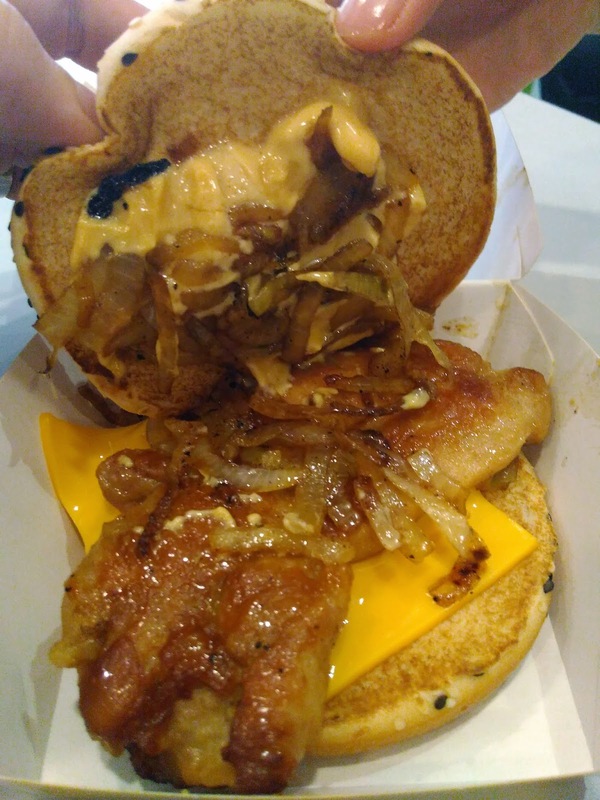 To be honest, I didn't really know what to expect coming in to this burger. 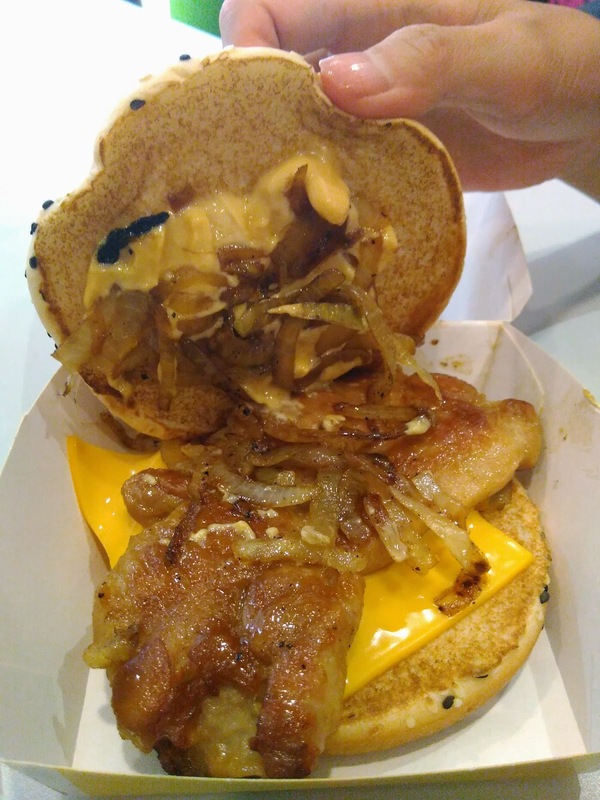 Last year McDonald's Singapore was pretty hit or miss with their promo sauces, and towards the end of the year they really became pretty pathetic (I even completely skipped the $9 Ranch Quarter Pounder). "Spiced Butter" at least sounded unique and a rather pleasant sounding topping the now-skinless chicken thigh. Grilled Onions make a return, and as I said the last time around, they are always great addition to any burger. 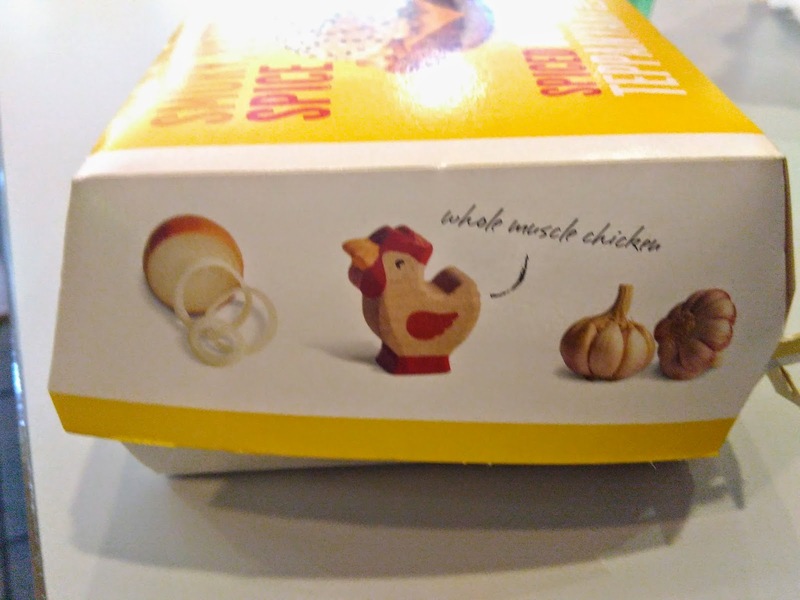 This time they were even grilled with garlic, and when was the last time Garlic made anything taste worse? 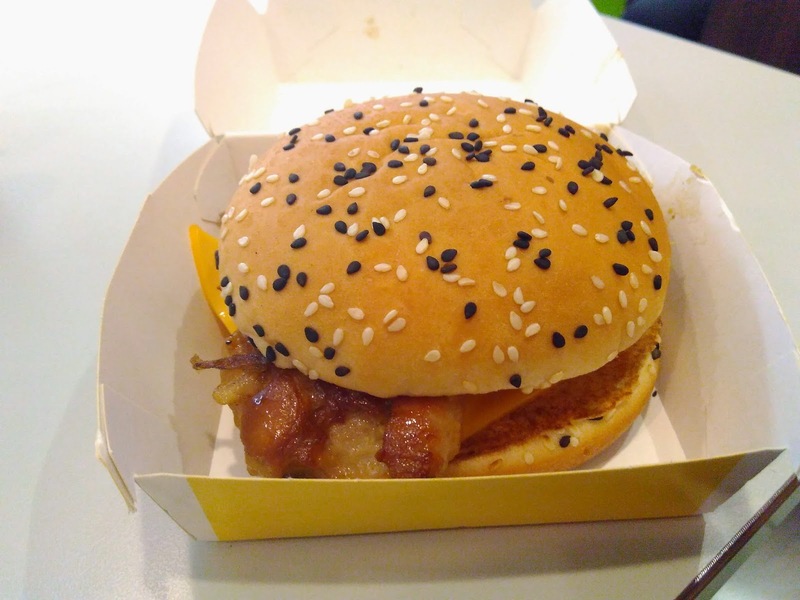 The bun was a bit of a stretch to be called "new" since it was just the standard Quarter Pounder bun with a few extra black sesame seeds thrown on top, and the cheese was the standard McDonald's processed slice. The patty was not that greasy, and had a decent amount of meat, the lack of chicken skin actually made it nice to eat. Whomever cooked my onions probably needed to be re-trained as there were a few too many burnt pieces (you can see a few of them in the photo above), but they were quite nice, and the addition of garlic was a nice touch. Since the sandwich was called the "Spiced Butter" Chicken Teppanyaki, the sauce was going to make or break the score of this burger. I could tell from my first bite that they really got it right with this sauce. I wasn't sure at first how well a butter based sauce would work on a burger, especially a grilled chicken patty, but this sauce was a perfect mix of butter and spice. I was surprised to find that it it didn't taste like it was cut with Mayo, as the primary taste (and smell) was indeed butter. 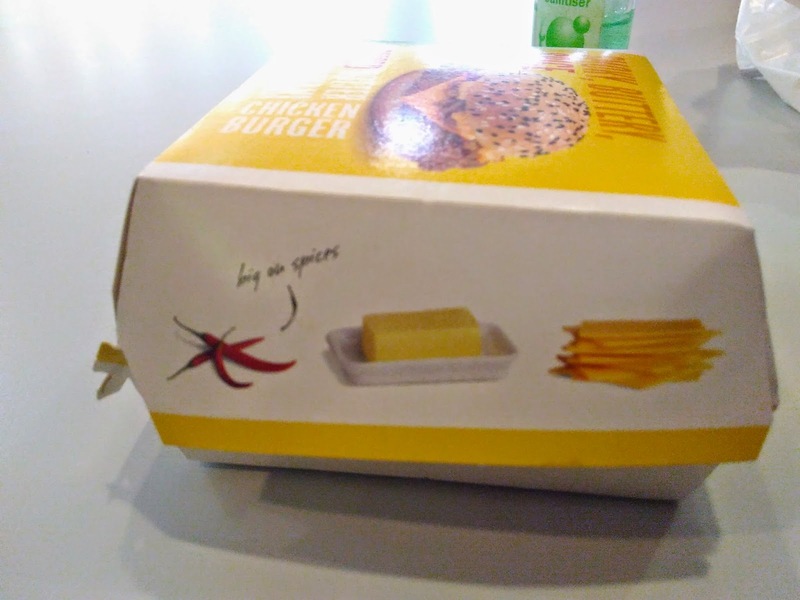 The bigger surprise was how spicy the sauce was, it had just as much kick as the Mala Spicy Burger last year. Now I understand why there was a "Spice Warning" on the official website. It was buttery, it was spicy, it was perfect. If only the bun and cheese was a bit better, this burger would have had a perfect score. Edit - For those of you wondering what Teppanyaki means, it's simply Japanese for grilled.